Toye Arulogun, the Oyo State Commissioner for Information, Culture and Tourism, has denied the claim by Yinka Ayefele that he is responsible for the demolition of his Music House. 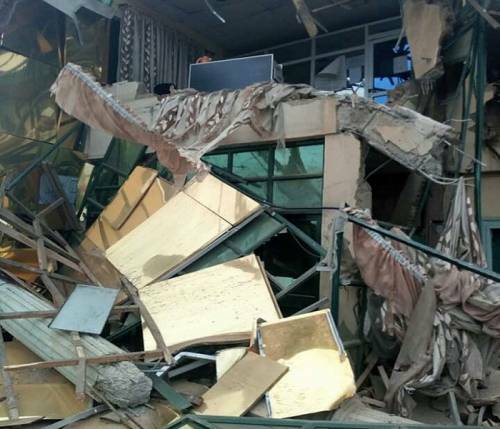 Ayefele, whose Music House, which houses his radio station, Fresh FM, was demolished by the State Government, after the government claimed the structure contravened the approved building plan, made the accusation while speaking on Sunday evening when the station re-opened. However, Arulogun, in a response to the musician, debunked Ayefele’s claim, stating that the State Government did the demolition, not him. He also noted that the State Government would formally address the public to correct the impression. In a related development, Ayefele urged the public not to engage in violence or damage government properties in protest, as he has left everything to God. “I’ll like to plead with everyone not to cause any casualty, especially on the Ajumose bus parked around the Music House. Please, do not destroy any government property. This happened for a reason. Let's leave everything in God’s care,” he stated.